Up for the Challenge: Voting is Live! Just a quick note to let you know that you can now vote for your favorite project at BHG.com’s 48-Hour Challenge! Voted! I adore your porch, I’m so jealous! I had to pretend I live in AA (where ever that is) in order to sign up but I’ll be voting for you each day. Love your painted floor & the pink is so you. Love it! OMG! Soooooo pretty! Stunning….but then I had no doubt. I hope all the people wishing you congratulations votes. $5,000 could come in handy with a new baby in the house. I love your porch, it’s so pretty and it looks like a great place to relax. I definitely voted and will do so again! my vote goes to you! even if your design wasn’t my favorite (which it is,) hand-painting that porch while nine months pregnant deserves major rewards! believe me, i wasn’t painting anything when i was nine months along, not even close. kudos! also, congratulations on your sweet new baby. so glad she’s healthy and home. Thanks, everyone! Natalie, that’s a pink hydrangea. You’re on apartmenttherapy.com!!!! Your porch pictures are up there (they are first) and they talk about you really favorably. 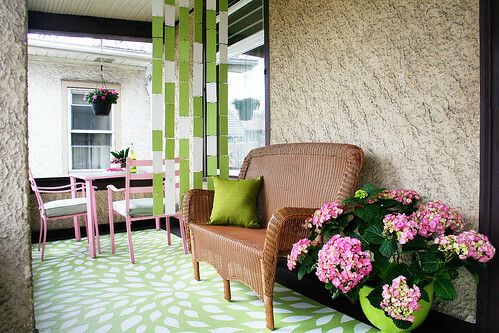 I love the porch , It looks like I could something like that on my patio . Good job. I have my fingers crossed for you! this is my fave by far… I’ve been voting! What’s the voting deadline? I plan on getting one of these for our porch. Thanks for the post. Hi Nicole – Kristin here from The Not So Desperate Housewife.com. 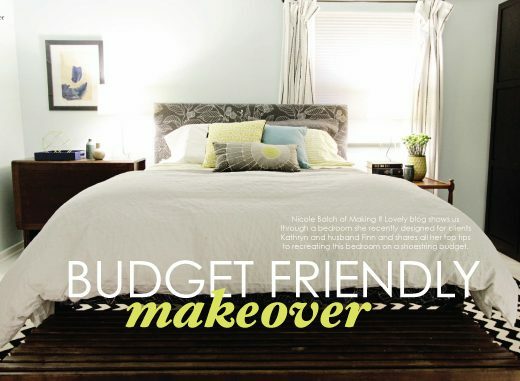 Just wanted to say that I loved you porch so I voted for you makeover! I think you made the most of the project and I LOVE the pink and green combo! I wish my husband would let me paint on our deck! Hope all is well and congrats on your little girl!